Welcome back as we continue the countdown. If you missed the previous songs, you can go back and check out songs 40-31 and 30-21. In my opinion, this week’s songs just keep getting better and better. Sometimes, there is a little lull, where there are songs that are just meh. But every day has been solid so far, and it will continue. So, lets Return to the week ending November 10, 1984, and continue the countdown. This song does not get as much attention in the U.S. as much as a lot of Culture Clubs hits. I like this. I don’t know if it’s because of the quality of the song, or because it does not get played to death on radio. This was the lead single from the band’s third album Waking Up with the House on Fire, and peak at #17 in the U.S. It cracked the top 10 in several other countries. This is one of my favorite McCartney tunes that I still love to this day. This was from the soundtrack of Give My Regards to Broad Street. I still haven’t seen that movie yet. I have no idea how this song got by me. I love it! And I love all three singers. What a great combination. Then add in the fact that this song was written by David Foster and Richard Marx, and this is pure gold. This was the beginning of Madonna becoming an ’80s icon. She would be cemented in with that status with her next album, Like a Virgin. But, the songs from her self-titled debut album, including this song, laid the groundwork. This was Madonna’s fourth single released from that album, and her first Top 5 hit, peaking at #4. “Some Guys Have All the Luck” was written by Jeff Fortgang, and originally performed by The Persuaders in 1973, and became a Top 40 hit. Rod Stewart’s version here was more successful, peaking at #10. Jeff Fortgang was only in the music industry for three years. He went on to become a doctor in Psychology, and still practices in the Boston area today. I always get excited when I get to play some Pointer Sisters! This song was originally released in 1982, from their album So Excited! 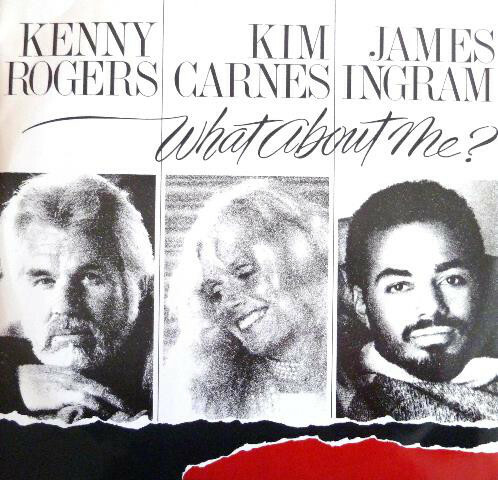 and was a Top 40 hit, peaking at #30. It was re-released, after being slightly remixed, on their 1984 album, Break Out, and hit the charts once again, peaking at #9 this time. Rhode Island in the house!! John Cafferty and the Beaver Brown Band (who are from my home state of Rhode Island) performed this song for the Eddie and the Cruisers soundtrack. This is a fun Springsteenesque rocker. They have a lot of other great songs, but this is their signature song. This was the fifth and final single released from Lionel Richie’s classic, Grammy winning, Can’t Slow Down album. As with all the other singles taken from Can’t Slow Down (“All Night Long (All Night)”, “Running with the Night”, “Hello” and “Stuck on You”), “Penny Lover” was a top ten hit on the Billboard Hot 100 chart, spending two weeks at #8 in December 1984. Sheena Easton was very popular in the early-to-mid ’80s, and this song was no exception to that success. This would be a Top 10 hit, peaking at #7. That wraps up today’s list of songs. This week is moving right along! We will wrap up the countdown tomorrow. As the numbers get smaller, the hits get bigger. I haven’t seen Give My Regards To Broad Street either. Someday. 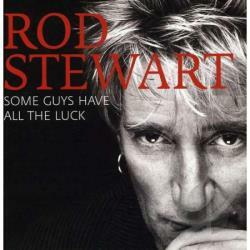 There was similar but different version of Some Guys Have All The Luck, performed by Robert Palmer. According to Wiki (so it must be true! ), Rod Stewart sang this version as a tribute after Palmer’s untimely demise. On to the top ten! Oh wow, I like that version! Thanks for sharing!